The most effective way to prevent flu spreading is by practicing a proper hygiene and taking some precautionary measures. Here we have discussed some simple practices which will help you to prevent spreading of flue in your home. Remember to wash your hands after using bathroom. Don’t touch your mouth, nose or eyes without properly washing your hands. If someone in your house is suffered from flu then advice him to cover his nose and mouth with tissue paper when sneezing or coughing. If any of your household members is suffered from flu then make sure you keep their private items like soap, towel and toothbrush separate. Don’t share their drinking and eating utensils with other members of your family. 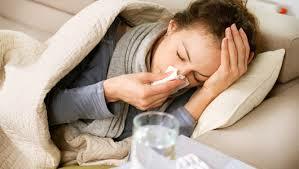 Flu virus can remain on surfaces of fridge door, table or furniture for several hours. So make sure you regularly clean those surfaces with detergent or soap. If you are exposed to flu or looking after someone who is suffering from flu, then talk with your doctor regarding antiviral medications. If you have a cold then avoid getting very close to your friends, family members or colleagues. Inform them that you are sick and you don’t want anyone to catch the flu virus. The unvaccinated people are the ones who have a high risk of flu. So always consult a doctor for precautionary measures which will help you to resist diseases like influenza or flu. Some simple practices like keeping windows or door opens will also help you to lower the risk of spreading flu in your house. Prevention is always better than cure but make sure you stick to healthy plan when exposed to flu. Eating healthy food, drinking sufficient water, taking enough sleep and exercising will help you to recover fast from a disease like flu.